Having had my house on the market for over two months, I consider myself pretty well-versed in staging and selling. 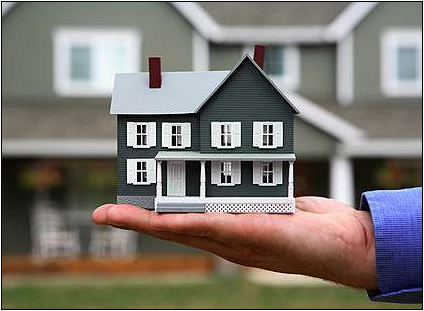 Essentially, you are offering up your home on a silver platter to potential buyers. Here are my tips to survive the process. * Choose your real estate agent wisely. In a buyer's market like the one we are in now, the right agent is absolutely key. Find out how s/he negotiates; research the other homes s/he has listed; ask his/her strategies for marketing. Don't worry about being aggressive or pushy: you are dealing with your home - a huge investment. * Do a pre-sale inspection. It is such a wise investment to have an inspector walk through your home and tell you the issues that will come up in a buyer's inspection. This way, you can adjust your sales price and your bottom line and also have a realistic idea of what you will be facing from your buyer. Definitely take advantage and make as many repairs as you can while you can. * Keep the house showing ready every single day. Yes, most buyers will give a day or two notice before a showing, but some do not. In our case, around 4 pm one day, an agent drove by with her clients and asked for an immediate showing. You just never know. * Offer incentives. A home warranty is an inexpensive (@$500) bonus to a buyer. Another idea is to offer a bonus to an agent who gets in an accepted offer by a certain date. Yes, you want to appeal to buyers, but you want to get the house on their agents' radars, too. * Do an appraisal. It is a good idea to have your own home appraised before the house goes up for sale. Base your price on this amount and hand it on over to the buyers. In a market where low-ball offers abound, having a black and white justification for your asking price is a sound idea. * Talk to friends who have been through it. One thing that made my selling experience a brighter one was knowing I could talk to a few friends who have been through the selling process. It is incredibly stressful: more stressful than anything I have ever done in my life (this includes all schools, the Bar exam, childbirth, trials ...). Talking to someone who's been there, done that and is a calm, reassuring, validating voice of support and reason helps tremendously. There you go! Just a few tips from me on surviving the selling process. If you are selling, I wish you much luck and a quick and easy sale!